If you planning to replace your old machine with the latest generation laptop, then you’re at the right place. We have picked out the best laptops, which are currently available on Paytm Mall with a pretty good discount. If you planning to replace your old machine with the latest generation laptop then you’re at the right place. 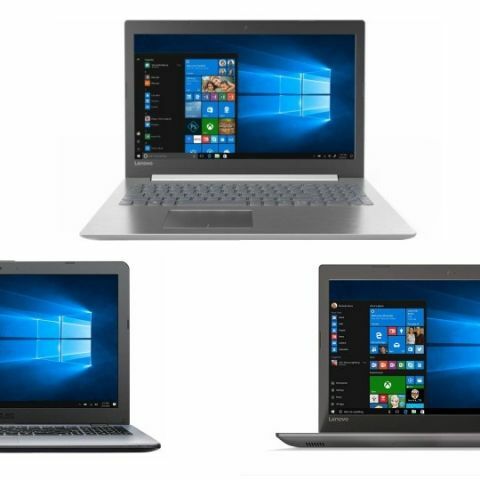 We have picked out the best laptops, which are currently available on Paytm Mall with a discount. The Lenovo IdeaPad 310 features an FHD display with a resolution of 1920 x 1080 pixels. The laptop is backed by an Intel Core i7 6th Gen processor, which is paired with 8GB RAM and 1TB hard disk. The machine comes with installed DOS, which means you need to install an OS on your own. Click here to buy. The Asus VivoBook comes with an FHD display, which offers a resolution of 1920 x 1080 pixels. The machine is powered by the latest 8th Gen Intel Core i7 processor. The device packs 8GB DDR4 RAM and 1TB hard drive. As far as the graphics card is concerned, the laptop has a 2GB DDR5 NVIDIA GeForce 940MX card in it. Click here to buy. The HP Pavilion 15-cc134Tx sports a 15.6-inch FHD display with a resolution of 1920 x 1080 pixels. The machine is powered by the latest 8th Gen Intel Core i7 processor, which is paired with 8GB DDR4 RAM and 2TB hard disk. The laptop is installed with Windows 10, which means you do not need to worry about installing an OS. Click here to buy. The Dell Inspiron 3567 is powered by an Intel core i7 7th Gen processor, which is paired with an 8GB RAM and 1TB hard disk. It also has a dedicated 2GB DDR3 AMD Radeon R5 M430 graphics card. Click here to buy. The Lenovo IdeaPad 520 comes with an Intel core i7 7th Gen processor, which is paired with an 8GB DDR4 RAM and 1TB hard disk. The laptop has a 4GB NVIDIA GeForce 940MX graphics card as well. Buyers will also get installed Windows 10 with this system. Click here to buy. i want to buy a laptop.....hp or dell? Which Laptop is better for Specification is Dell or HP ?